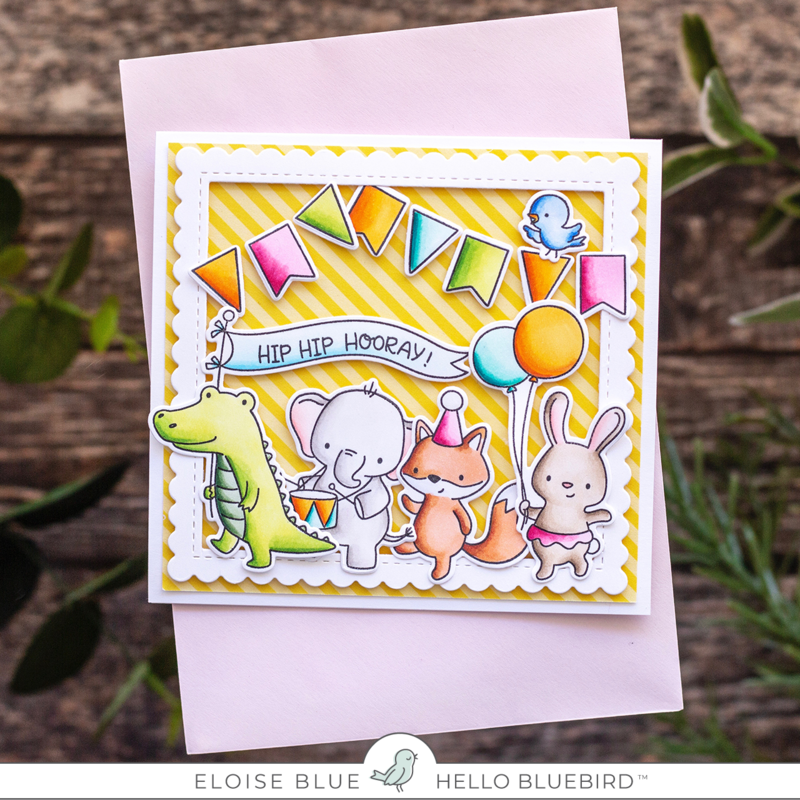 Hello friends, today is Day Two of the Preview Week for Hello Bluebird Stamps newest release. Today we are showcasing Party Parade Stamp Set along with Basic Borders and Happy Birthday Dies as well. 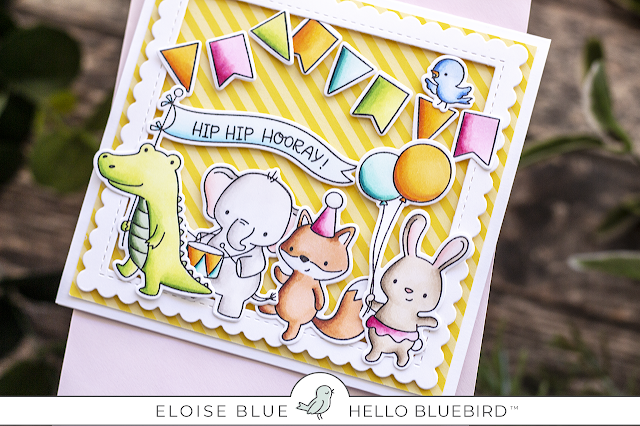 Today I'll just be using the Party Parade Stamp Set along with altering the Gallery Frame 2 Dies. I started off with stamping out the images from the Party Parade Stamp Set and colouring them in with Copic Markers. I used the coordinating dies to cut them all out. 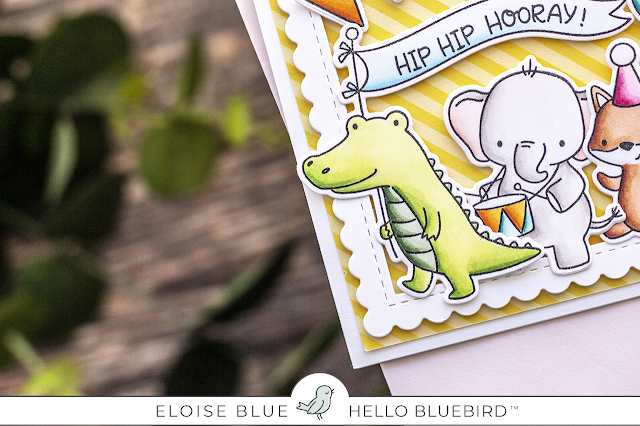 While I had my die cutting machine out I ran through the Gallery Frame 2 Dies out of some white cardstock. Since I only wanted it partially die cut, I ran through half first and re-positioned the die, slotting it into the grooves of the die cut side and then ran it back through on the other side of the die. This created a square instead of a rectangle (this is better explained in the video). Next, I took a yellow piece of patterned paper and adhered my white frame on there with foam tape. I then added foam tape behind all the banners and adhered them into place as well. Lastly, I added foam to my images and adhered them over lapping at the bottom of the frame. That finished up my card for today, I hope you enjoyed. Thanks so much for being here today and I'll see you tomorrow.